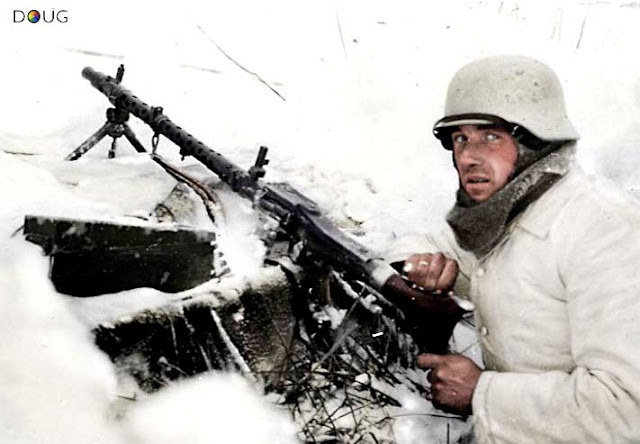 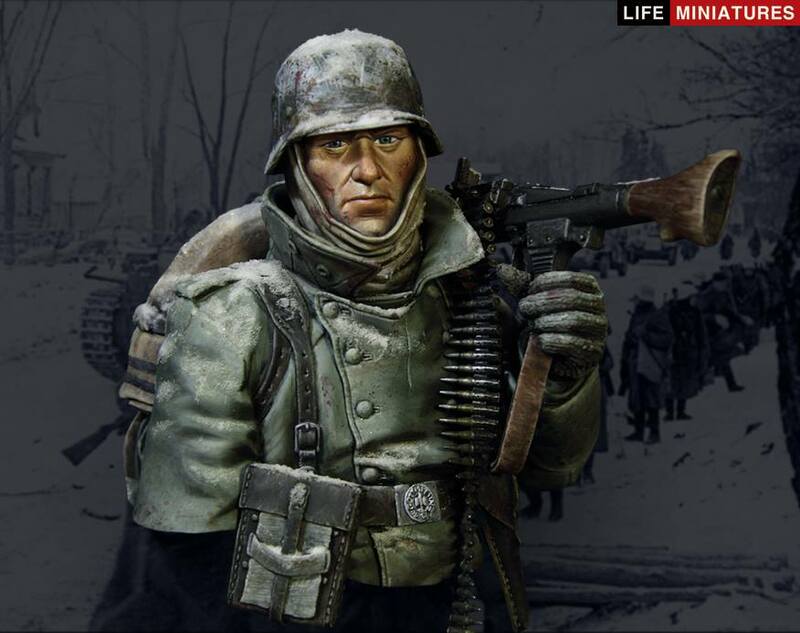 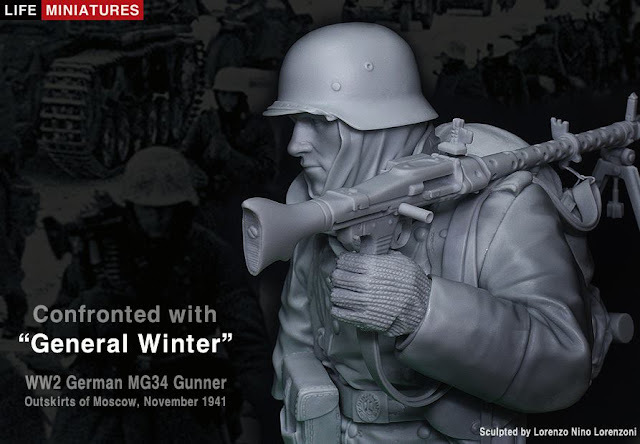 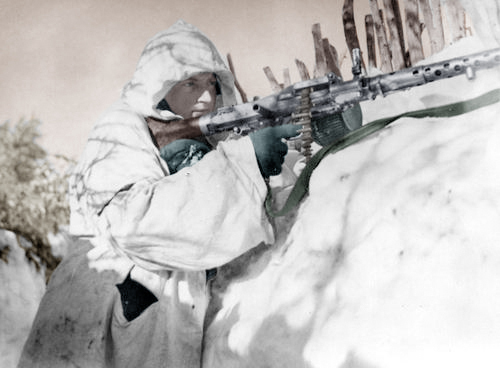 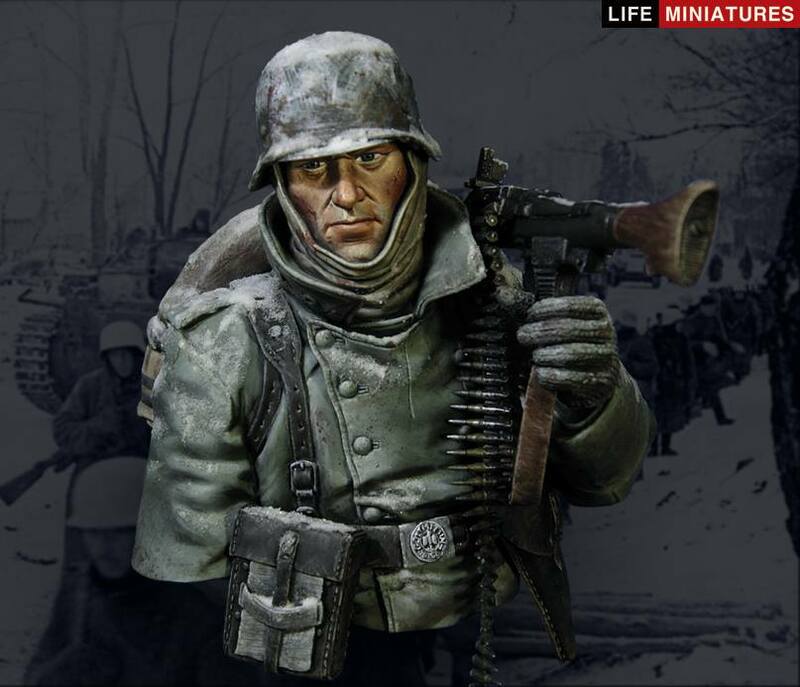 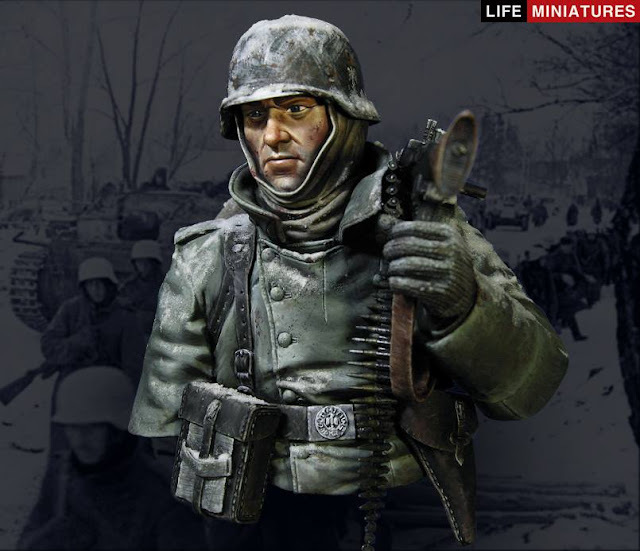 Life Miniature’s new bust is a 1/10th resin cast in which Lorenzo Nino Lorenzoni has captured the essence of a World War Two German MG34 Gunner in his battle of Moscow on the eastern front with “General Winter” in the first winter in the east in 1941. His face is as glum as the weather and it looks very cold as the snow on the boxart painting by Diego Ruina really accentuates Lorenzo Nino Lorenzoni bust’s features. 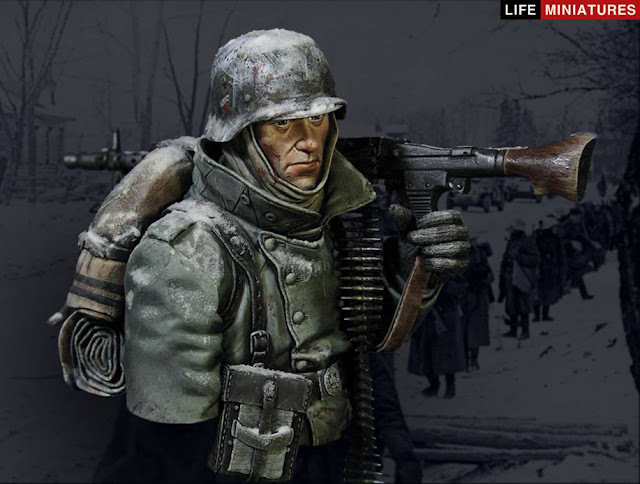 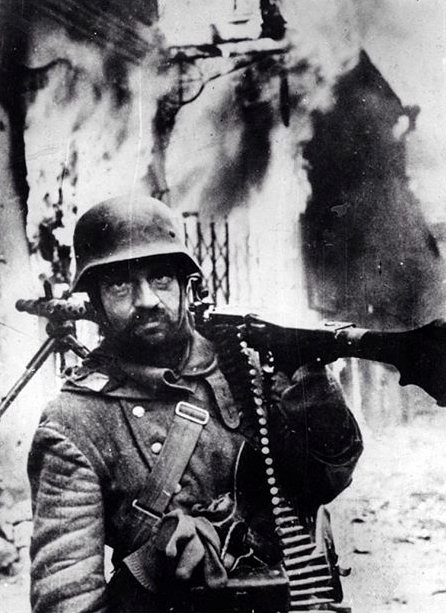 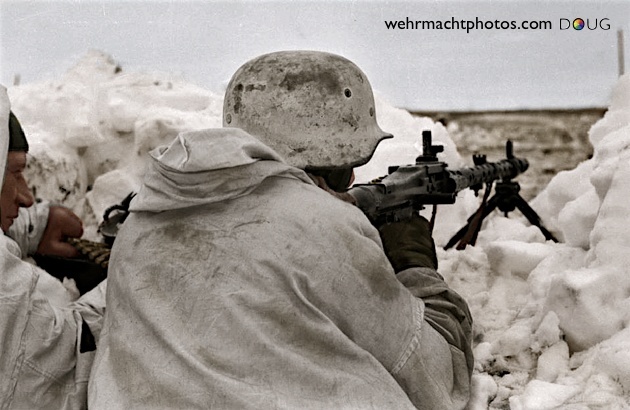 Seen in a grey greatcoat which picks him out as an early war trooper this MG 34 gunner not only carries a full machine gun in this bust but also the gunner’s full pack with extra ammo in a belt, as he holds hi gun with his hands hemmed up in woollen winter gloves. 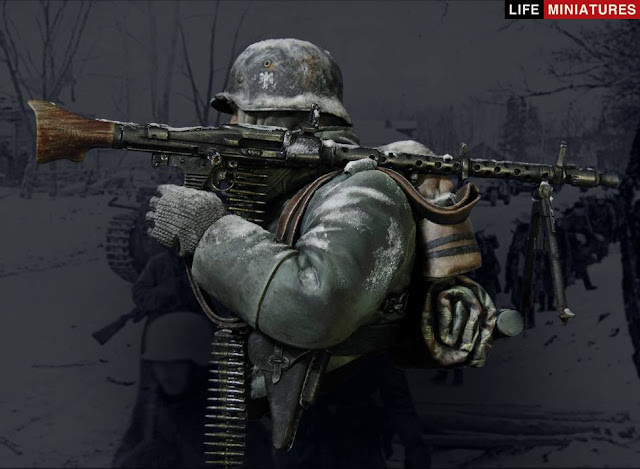 The pack that this gunner has is pretty comprehensive. 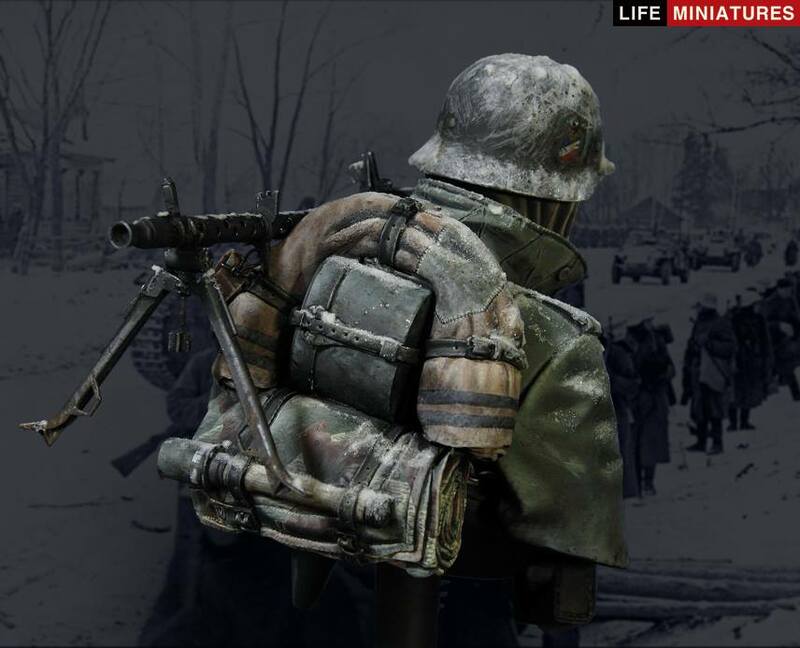 The holed blanket pack, the canteen and zeltbahn is encased with a spare grenade to keep it all in place. 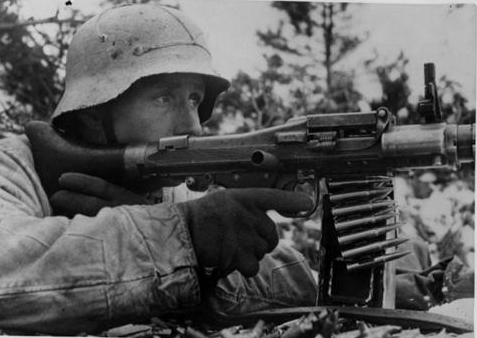 The leather straps are holding it all together and adding depth to his back – not that it needs any more dimension with the MG 34-barrel poking back at you.